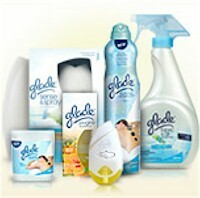 $1 off any Glade product, printable coupon here. 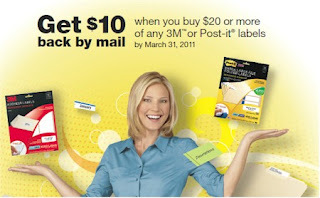 In addition to the coupons here, you can save even more money on Post-it products by sending in this $10 mail-in rebate, good when you buy $20 worth of Post-it labels before 3/31/11. Get a coupon for $1 off any Eucerin hand or body lotion. Like them on Facebook to download the coupon. The Greenies BOGO coupon seems to have reset...this is probably the fourth time I've filled out the form and printed the coupon. 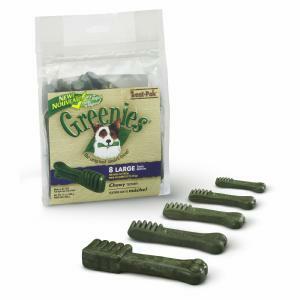 Click here for a buy-one-get-one-free coupon for a Greenies Canine Dental Chew. Our rescue beagle, Abby, goes crazy for these treats, but they are very pricey. 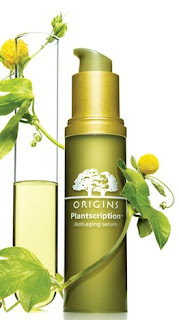 Get a free sample of Plantscription anti-aging serum from Origins when you like their Facebook page and fill out the sample form. Free sample of Maybelline FitME! over on the Target sample page. The makeup system for fresh, perfectly flawless skin. Maybelline FitME! is a shade-aligned system of foundation, powder, concealer and blush that offers natural coverage, blends weightlessly and matches skin flawlessly to let the real you shine through. 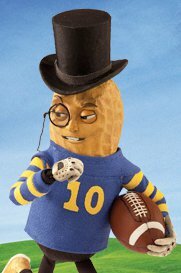 Go to the Planters Facebook page at 6pm on Superbowl Sunday, 2/6/11, to get a coupon for a free package of Planters Flavor Grove Almonds (first 25,000, one coupon per household). Whole Foods has a $1/2 Lara Bars store coupon. If your Whole Foods allows you to stack store coupons with manufacturer's coupons, then stack this with the $1/4 Betty Crocker coupon I mentioned here. The Betty Crocker coupon is disappearing on 2/1/11, so download it now. Whole Foods also has a $1/2 Dream beverages or frozen products store coupon. Stack this with a $1/2 manufacturer's coupon and you'll end up with a dollar off each product. For the non-dairy milks, this usually means approximately 50% off. $1 off any 2 Imagine Soup, Broth, Stock or Gravy. Print two coupons, buy four products and stack this with this $3 off any $3 Imagine products coupon. You'll end up with $5 off your purchase of 4 Imagine products, whose soups usually go for around $2.50/box, so you'll end up getting approximately 50% off. $1 off a 32 oz. carton or two 14. oz. cans of any variety of Manischewitz broth (I'll probably buy a kosher-for-Passover version and stockpile it with my Passover stuff). Are you a Chase Freedom Card holder? From now until 3/31/11, Chase is having a promotion on their Ultimate Rewards gift cards. You can redeem select gift cards for 10-20% fewer points than they normally cost. 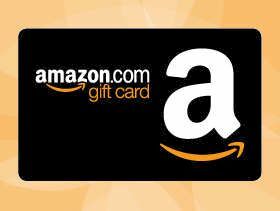 Gift cards included are: Home Depot, Gap, Kohl's, TJ Maxx, Barnes & Noble, Bed Bath and Beyond, CVS (10% off), and Land's End and AMC Theaters (20% off). Details here. 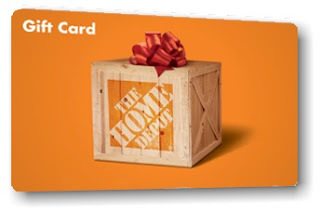 I just snagged a $100 Home Depot gift card for 9,000 points (normally 10,000). We keep about $500 (or more) in Home Depot cards, (which we've gotten from various free promotions and credit card rewards,) up on the kitchen bulletin board at all times as part of our house emergency fund. When our water heater died last year and we needed a new one in a hurry, those gift cards came in mighty handy. We also paid for a huge portion of our kitchen appliance upgrade with gift cards from various appliance stores. Gift cards rewards are the reason we put everything that we can on our credit cards (and then work diligently to pay them off each month). Point sales like this don't come around all that often, so if you've got credit card points banked, now is a great time to cash them in. Get this very cute 14kt. 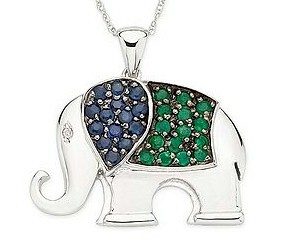 white gold, sapphire, emerald and diamond elephant pendant with 18" chain at Ice.com for the price of a silver necklace. First click through this link on Shop at Home so that you can get 10% in cash back. (Not a member of Shop at Home? Click here to join and get $5 cash just for signing up!) The pendant is on for sale for an incredibly low $159, so coupons won't work on this, but with the cash back, your grand total will be $143.10, which is extremely reasonable even for a silver version of this pendant. On jewelry that's not on sale on Ice.com, you can get a straight 22% off by clicking here. Shipping is free with no minimum! 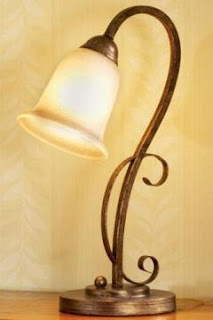 Get $10 off your online order of $50 or more at HomeDecorators.com with promo code 1958612. Valid through 2/14/11. Make sure you click through the Shop at Home link first to get your 4% cash back. Not a member of Shop at Home? Click here to join and get $5 cash just for signing up! Get this beautiful Skylar Table Lamp (pictured above), originally priced at $99, marked down to $69, for $59 and after cash back, $56.64, with free shipping. Arm & Hammer has restocked their coupon page...there are now 16 products that are couponed here including $1 off my favorite baking soda toothpaste. 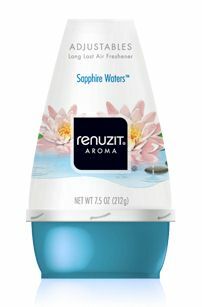 Try the Bath and Body Works new Escape Home Fragrance Collection free. Through 1/30/11 only. Print the coupon here and bring it into the store. No purchase necessary. 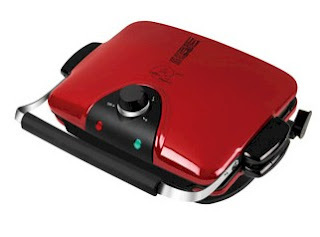 Get this George Foreman 84" The Next Grilleration G4 Grill at Buy.com for just $59.16 shipped. I have been waiting for a GF grill with removable grill plates to go on sale for a while now. I love my old GF grill, and use it to grill salmon at least once a week, but the plate is welded in and cleaning it is a nightmare. With two grill plates, I can use one for fish, one for meat, and put either one in the dishwasher. Don't forget to click on the Shop at Home link first to make sure you get your 4% cash back, lowering your final price to $56.76. Compare this to the identical item at NewEgg for $90. Be that as it may, gentlemen, here's an alternative to buying your SigOth jewelry next month. 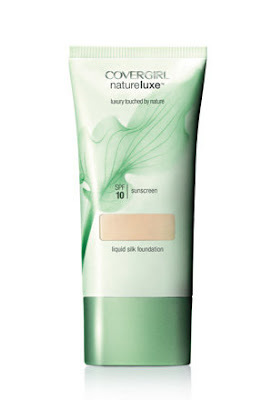 I live in Denver; without hesitation I can tell you that the number one beauty concern here is dry skin. Because the climate is so dry, women here are constantly moisturizing and lotioning. I've had a hard time finding a product that really helps my hands, which are so dry that I am constantly getting little cuts and scratches. At a friend's recommendation, I tried Burt's Bee hand cream, and it worked! I am now a little obsessed with the Burt's Bees product line...I love their lip balm, their scrubs, their soaps and of course, their moisturizers, and I'm always looking for discounts and sales of their high quality products. I've put together a little Valentine package of BB stuff from Ulta.com. 1. Make sure you click through the Shop at Home link first, to get your 7% cash back. 3. Your grand total should be $62.94. Use promo code 44480 and that total will drop to $50.35. 4. Free shipping (starts at $50). With your 7% cash back, your total will come to $46.83, shipped, for all six items, or slightly more than 25% off original prices. Not too impressed? Do a little shopper's math: this is the equivalent of a buy-one-get-one-half-off deal. I am a pretty vocal consumer. When I like a product, the company hears about it. When I don't like a product, they hear about it as well. Nowadays, with every major consumer product company having a web presence. a Facebook page, a LinkedIn profile and an email address or contact form, getting in touch with companies is easy. With nearly every contact, I get a response. The smaller food companies will always get back to me quickly, and the larger companies usually have someone in charge of consumer inquiries, and get back to me within a week or so. With nearly every contact, I usually get a (snailmail) letter and a coupon(s). 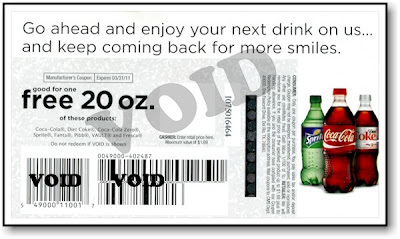 Most of the coupons you get this way are not available anywhere else, and are usually very high value with a long expiration date (some have no expiration date at all). Some are for completely free products. My most recent acquisitions are from Bush's Baked Beans, Smart Balance margarine, and Manischewitz. All were high value coupons that were immediately put to use, except for the Manischewitz $3 off any product ones (I got two), which will come in very handy when I start my Passover shopping. I'm not suggesting that you write to companies just to get coupons. I'm suggesting that you give feedback on things you like to eat (or don't), and the companies will respond in kind. I wouldn't send a message like "your cookies are really good." Tell the companies why you like them, how your kids who won't eat anything will eat their stuff, how convenient their packaging is, how you like that their ingredients are healthy and contain no trans-fats etc. Give them useful feedback. Let me know if you have any good (or not so good) experiences with your consumer interactions. I particularly like rewards programs that give you what you are spending as rewards; meaning if the program involves accumulating points for buying soda, you are rewarded with more soda (and you can input those points for more rewards). My husband and I are Diet Coke junkies and have been participating in My Coke Rewards for two years. We put all the caps in a drawer and then once a week, we sit down and enter them all...takes about 5 minutes or less, and we've cashed in on about 150 free 20 oz. bottles of DC. Those free soda coupons come in especially handy when you're traveling and are buying soda at convenience stores, which charge a small fortune for cold soda. The conversion is ten bottle caps for one free 20 oz. bottle or three of the 12-packs of cans for one free 20 oz. bottle. This week, My Coke Rewards is doubling points for all codes that you enter, today and tomorrow (1/26-1/27/11) only. It's a great time to join...email me at frugalskate@gmail.com and I will happily send you an invitation. 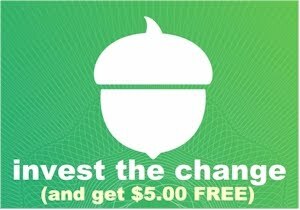 Free Computer Maintenance and Green Fix from MyCuredComputer.com ($40 value) when you join HomeRun, a groupon-type website. 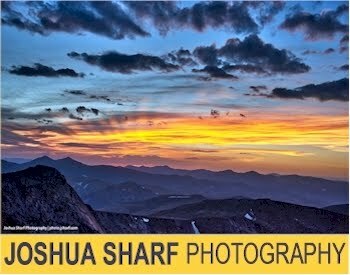 Click here and then click on the deal on the bottom left side to get this FREE deal. Service provided remotely over the internet, so you don’t even have to leave the house! Go to Clairol's page on Facebook and like them. 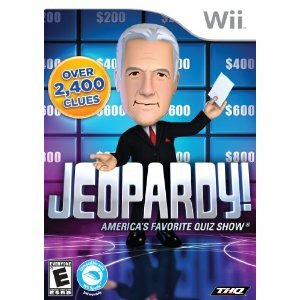 They will be giving away 25,000 coupons for a free box of Clairol Color Blend Foam each day from 1/24/11-1/27/11. In-store only, through 1/29/11. Printable coupon here. 1. Click to the SmartBargains.com site through the Shop at Home link first to make sure you get your whopping 10% cash back. 3. Add this gorgeous South Sea pearl pendant to your shopping cart. It will be listed at $199.99, but will appear in your cart as $149.99, with $18 off (12%) and shipping charges zeroed out. The pearl is golden colored and 9-10mm, and the 14kt gold chain is 18". Your total will be $131.99. Set up a new account and purchase this item. 4. With your 10% cash back, your grand total will be $118.79. If you decided to dive in and purchase a front-loading washer, you will see a significant drop in your water bills, because most front-loaders (including the one in this post) are "High Efficiency" washers. I took the plunge earlier this year when my old model front loader died, and I've never looked back. Not only do I save water (and Colorado, where I live, is a drought state), the clothes come out of the wash just damp, not dripping wet, and so they require a much lower drying time. Unfortunately, once you convert to a high efficiency front loader, you can no longer use your regular detergent. Yes folks, the one downside to using a front loader is that you have to give your best friend all that regular detergent you've been diligently stockpiling (or better yet, donate it to your local mikvah) because since you will be using less water, you will need to use the special low-sudsing detergent that is labeled "HE." I've found that most HE detergents are slightly more expensive than regular detergents, with one notable exception. Purex has a few low-sudsing HE versions that are consistently cheaper than most others. If you live near a Rite Aid, right now you can get Purex for $1.99 for a 50 oz. bottle, which is about as cheap as it gets. Make sure the bottle is marked "HE," as not all types of Purex are ok for front loaders. I just stocked up and bought (gulp) 19 bottles of the stuff (and I'm considering buying more...my husband thinks I'm nuts). You can also use the Purex 3-in-1 sheets in HE washers, and here's a coupon to get you started. GE frontloader washer plus installation hose, $392 delivered. GE 3.8 IEC cu. ft. King-Size Capacity Front Load Washer plus washer hose for hookup, from Home Depot for $392.12, delivered. 1. Click through the Shop at Home link first to make sure you get 5% cash back. 2. Add this GE Front-loader to your cart. It will be listed at $447 less 10% off or $402.30. You will also need the $19.99 hose for installation. 3. At checkout, use promo code SNOW33. This should deduct $9.53 from the total, which should now be $412.76. 5. With your 5% back, your grand total will be $392.12. 30% off your online purchase at at Land's End with promo code WOW30 and pin 4518. Free shipping starts at $50. And don't forget to get 3% cash back when you click through the Shop at Home link first. And since this is a Sear's-owned company, don't forget to enter your ShopYourWayRewards number at checkout for an additional 1% back. Free pack of 5 NESCAFÉ® Taster's Choice® gourmet coffee single-serve varieties, here. Free Dunkin Donuts medium coffee, when you enroll in DD Perks, here. Click here for 1) a free sample of Dove Daily Treatment conditioner and 2) a $1.50 printable coupon for 2 Dove deodorants or Body Misters and 3) a $1.50 printable coupon for 2 Dove hair care products. New York Cheapskates, click here to join DealVogue and get a $10 Starbucks gift card for only $3. Sadly, New York, New York postal addresses only. Limit one per person. Coupon here. Through 1/22/11. In-store only and excludes furniture, ink, toner, computers. 1) Click through here first to make sure you get 15% cash back at Shop at Home. 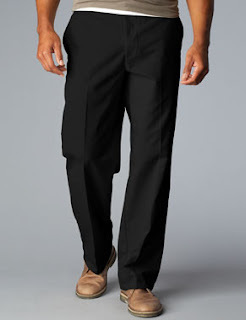 2) Once you are on the Banana Republic website, choose item(s) that add up to at least $50. Free shipping is on orders totalling $50 or more before any discount or promo code. 3) Use promo code BRWINTER30 to get 30% off. So with your cash back, free shipping and promo code, you will wind up with a discount of just slightly over 40% on your total. Shop at Home is running a super-special cash back sale at Target.com. On Wednesday, January 19th only, you can get 11% cash back (usually 5%) on anything you buy at Target.com. You must click through this link first to get your 11% cash back. Get this beautiful Hamilton Beach 5 quart slow cooker for $24.99 (usually $35), and with your Shop at Home cash back, your total will come to $22.24. 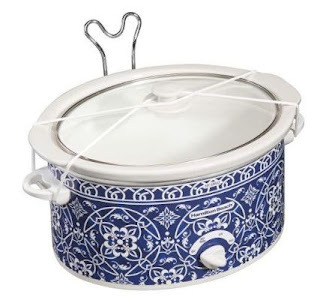 This slow cooker not only has a beautiful design, but also comes with a lid holder that holds the glass lid up and out of the way when you are serving, and a locking band for travel. Free shipping starts at $50, so I'm getting one for Passover and one for a shower gift. Take full advantage of this 11% Shop at Home cash back and make today your Target.com shopping day. Living Social has a sizzling new deal: a $20 Amazon gift card for $10. (Limit 1; no gifting.) Get this deal now before it sells out. When you promote this deal through the special link that Living Social sends to you and three friends buy it, your gift card will be free. Dockers.com is having a pretty fantastic sale with free standard ground shipping (no minimum...ignore what it says across the top of the site....the free shipping will show in your cart) and free returns. Get these black True Khaki Flat Fronts for $24.99 (50% off). Click here for the sale. Payless Shoes is having a buy-one-get-one-half-off (the equivalent of 25% off) sale through February 15th. Then get 20% off your total sale by using promo code 41030. And don't forget to click through the Shop at Home link first to get 8% cash back. If your two BOGO items are the same price, these discounts stack up to 45% off. Choose free store pickup to avoid shipping costs. Here's a Staples printable coupon for 10% off any one item, excluding computers. Expires 1/21/11. Buy one kid's or teen's book at Barnes and Noble, get the second one half off. Printable coupon is here. Expires 1/24/11. In-store only. Buy two games on Amazon, get the third one free. Details here. Add all products described in the promotion to your Shopping Cart. The value of the lowest priced item's discount will be reflected on the final order checkout page and will be allocated proportionally to all promotion items in the Shopping Cart, including the Bonus item itself. The promotion is limited to one per customer. If you do not purchase all the qualifying items added to your Shopping Cart when the promotion is in effect, the discount will not apply. The promotion applies only to items sold and shipped by Amazon.com. The same items sold by other sellers (e.g. Target) do not qualify. If you return any of the promotion items, we will subtract the value of the promotion from your return credit. 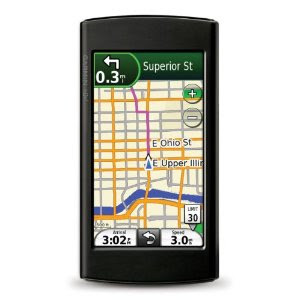 Garmin nüvi 295W 3.5-Inch Widescreen Wi-Fi Portable GPS Navigator for $62.99 on Amazon. Free Amazon Prime shipping. Hat tip to Dans Deals for this deal. 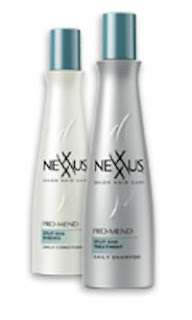 Get a free sample of Nexxus Pro-Mend. Click here. Click here to download a free full version of Magic Camera, software that works with your webcam. You must download and activate the software (usually $29.95) with the activation code that comes bundled with the installation file) before 1/20/11. Magic Camera is a useful webcam software that enhances the way people video chat . 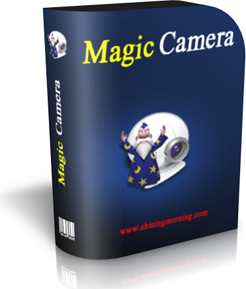 Magic Camera supports all webcam software, IM and webcam chat/broadcast sites like MSN Messenger, Yahoo Messenger, AOL Instant Messenger – AIM, ICQ, Camfrog Video Chat, Skype, PalTalk, ANY webcam, BlogTv, Justin.tv, Stickam, Ustream, Youtube, ChatRouletteUnique! etc. Enhance your webcam chat experience by adding cool webcam effects! Real-time webcam background change. You can make webcam effects like raining inside your house! Face tracking & mask effects. Flash (SWF/FLV) overlay with cool animations and emotions. Type text directly on video to “chat” with your friends. Open sdk to add webcam effects. Advanced user can develop their own webcam effects using any programming language. Unique! User can create their own free webcam effects by customizing the effect’s source, position, size, transparence, etc. Easy-to-use user interface. Add webcam effects by simply click. Edit effects by directly dragging on the video. Your customized software webcam! Magic Camera is a fake webcam and you can set pre-recorded videos, photos or desktop screens as its output. Play/watch movies together with your friends on webcam chat software or streaming your video files to live broadcast sites like justin.tv. Trick your chat mate with a pre-recorded fake video to protect privacy in webcam chat rooms. Playback speed adjustable for various streaming bandwidth. Unique! Powerful Screen Capture and live broadcast. User can adjust capturing position, size and fps at any time, even capturing is running! (most screen capture software can not do this). By this feature, you can live broadcast anything you can see on your screen, online forward/redirect youtube videos, record live videos or share screen with your partners, etc. Share & slide show your photos during webcam chat. Dual Mode Virtual Webcam that can do simulation under either kernel mode or user mode to trade off compatibility and performance for different webcam software. Unique! Multiple virtual webcam. You can add unlimited virtual webcam on one PC and use them independently. Very useful if you have multiple real webcams or want to open several broadcast channels/webcam chats at the same time.Unique! Large output resolutions supported, up to 1680*1050. Fully support Adobe Flash Media Encoder. The ability to send/record audio as well, via our virtual sound card technology. Unique! Like Minute Maid on Facebook to print off their buy-one-get-one-free coupon on a 64 oz. container of Minute Maid orange juice. 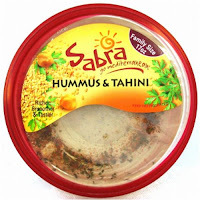 $1 off one package of Sabra hummus, coupon here. Click here for details. 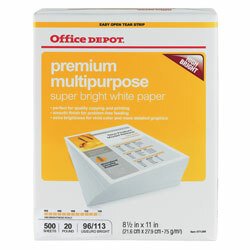 Buy two reams of Office Depot® Brand Premium Multipurpose Paper, 8 1/2" x 11", 20 Lb for $7.89 each and get one free (average $5.26 per ream). Expires 1/22/11. Free shipping starts at $50, so you might want to add other items. Here are some clearance items that might interest you as fillers. Don't forget to click through the Shop at Home link first to make sure you get 3% cash back. 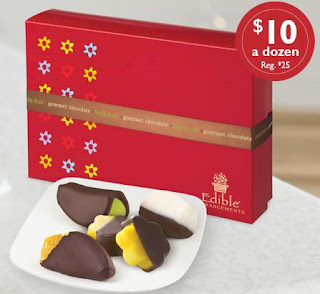 By now you've probably heard of the Edible Arrangements promotion for a $10 box of a dozen dipped fruit slices (regularly $25), valid this week only, 1/16/11-1/23/11. Here are the details: fruit selection varies and includes any of the following: bananas, oranges, apples and pineapple. Orders may be placed online, in stores or by calling 877-DO-FRUIT. Customers may order online or by calling 877-DO-FRUIT. 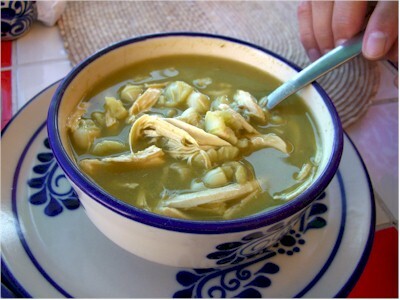 Orders placed during promotion period must be picked up in stores no later than Wednesday, January 26, 2011. $10 dipped fruit boxes must be picked up at a local store and are not eligible for delivery or shipping. But what you might not realize is that Edible Arrangements has over thirty kosher locations in New York/New Jersey/Connecticut/Pennsylvania (and two in California). To find a kosher Edible Arrangements location, click here and look for the words Kosher Certified. If you are on the East Coast, what nicer way to celebrate Tu B'Shvat, the Jewish New Year for Trees, which falls on on Thursday, January 20 this year, than to give your friends these (reasonably priced) boxed dipped fruit gifts. Be sure and check with the individual stores to see who does their kosher certification, and also to find out if the chocolate they'll be using will be dairy or pareve (your friends will want to know both). Parenthetically, I often use the kosher Edible Arrangements in Brooklyn to send fruit arrangements to my NY friends celebrating simchas, or happy occasions. They have promotions often, and a fruit bouquet is different from the usual fruit platters or flower arrangements....kind of the best of both! 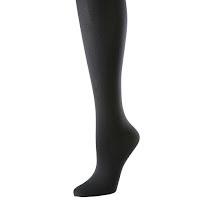 Get 15% off any regular-priced shoes at DSW.com when you use promo code SHULUVR. Don't forget your additional 8% cash back from Shop at Home. Good 1/17/11-1/18/11 only. If you prefer to buy shoes in store (as I usually do...shoes are the one thing I just can't buy easily online), there's a printable 15% off coupon here. 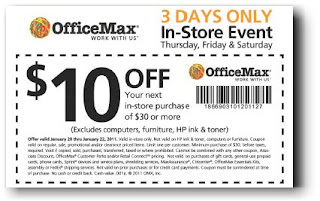 Buy two HP or any national brand printer ink, priced $24.99 or higher (excludes OfficeMax brand) and get a $10 OfficeMax gift card. Buy two of the same HP or any national brand toner cartridges (excludes OfficeMax brand) and get a free five-ream case of 8.5x11 multipurpose paper. Silver blue topaz pendant for $15 at Shadora.